I saw this cool video last night, and it brought forth many thoughts on the future of virtual reality & how we will use this technology to create new mental experiences. 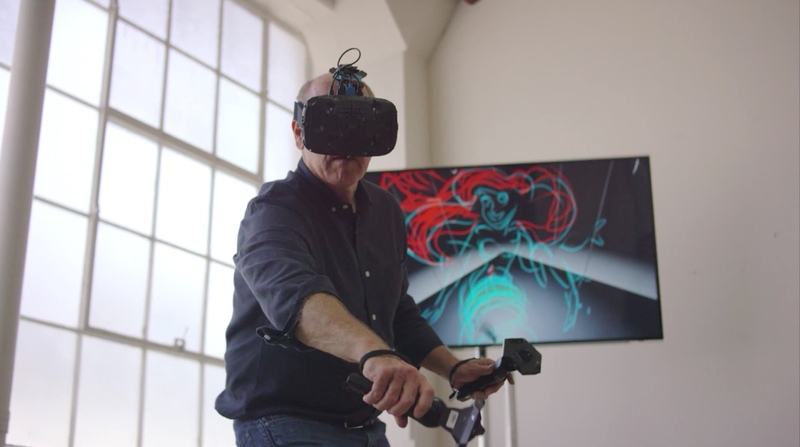 Master Disney animator Glen Keane uses VR tools to create and explore virtual spaces, that only exist as abstract data and as experiences in the brain of the individual. The merging of consciousness with the luminous world of digital information is another step in the evolution of what we know as the mind. There is a strange interplay of inner thought and external stimuli going on here, that could be a transition to an entirely new mode of thought & perception.